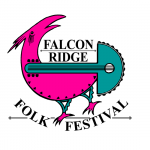 I think we’ve written about The Falcon Ridge Folk Festival every year since our origin, making this a record-breaking sixth feature article on the same damn festival. But 25 years, two site changes, and one micro-burst tornado since its founding, the Falcon Ridge Folk Festival remains my favorite summer experience: a guaranteed go-to event that offers some of the best, most eclectic truly folk music on the circuit, in a lazy, generous atmosphere charged with joy. As I’ve noted before, my affection for the fest is deepened by my involvement in its infrastructure: as Crew Chief of Teen Crew, married to the co-chief for Sign Painting, we arrive a full weekend early to work, and watch with awe and wonder as the open fields are transformed slowly into the home we love, and opened to the equally appreciative masses, even as the sight lines shrink. It is our haven, our Jerusalem, after 17 years of consecutive festivaling. We’ve even raised our children there, in ten day intervals in what we half-jokingly refer to as our real homestead. But it’s not just us, and it’s not just the volunteers who feel the closeness. Outside of our embedded camp with its white picket fence, the festival ebbs and flows with the tides of wanderers and fans. All night, the hills echo with campfire sessions and songwriter swaps. I know there is love in each circle. And those who join the fray come back, to be welcomed with open arms. As with many festivals, Falcon Ridge has teetered on the edge of uncertainty in recent years. The move to the first weekend in August is both an attempt to avoid the weather that nibbles away at sustainability, and to cancel out any conflict with other neighboring festivals, such as Newport, which might have found favor with an overlapping fan base. By universal consensus, however, this year’s 25th anniversary celebration pulls out all the stops. Strong past-favorites returning for the anniversary run the gamut, with well-traveled solo singer-songwriters Dar Williams, Ellis Paul, Eliza Gilkyson, Susan Werner, Vance Gilbert, Dan Navarro, and Mary Gauthier coming home to lead off a stunning roster that also includes everpresent psychedelic folkrock bands The Grand Slambovians and The Kennedys, formed-at-Falcon-Ridge trio Red Molly, tradgrass pickers Chester River Runoff, the high-energy sounds of folkband Spuyten Duyvil, and half of long-disbanded fest faves Moxy Fruvous. And kudos to organizers, who continue to bring in great new acts from the expanding indie-traditional genre space to complement the familiar faces, and honor the vibrancy of modern folk. I’m especially looking forward to hearing Poor Old Shine, an acoustic Americana quintet whose late 2012 live album sports a vibe not unlike that of the Avett Brothers and The Low Anthem combined with The Mammals and The Band, and who earned their place on the mainstage through top audience honors in the 2012 Emerging Artist’s Showcase, alongside equally potent trio The YaYas and the gentle harmonies of Gathering Time. Also high on the don’t miss list: The Stray Birds, a sparse fiddle-and-guitar-led tradfolk trio whose harmonies are sweet and light, and who have garnered no small amount of indie cred in the last year for their newest self-titled album, a timeless, aching piece of work that hasn’t left my CD changer in months, and Roosevelt Dime, who we celebrated here way back in their early days and ours, and who will be playing the entirely festival-independent but always welcome “pop-up” Lounge Stage on Thursday atop 10 Acre Field alongside a stellar all-day pre-fest line-up. There’s always something to discover at Falcon Ridge, of course. 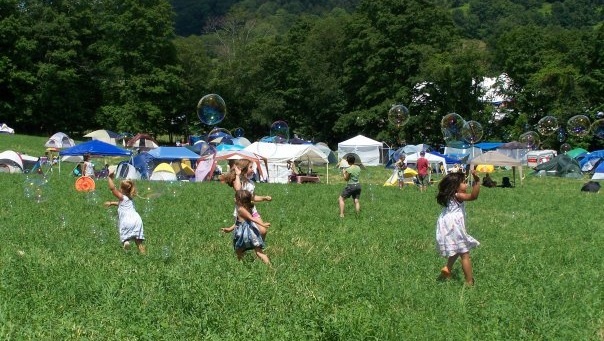 Kids are welcomed with playtents and sun, crafts and all-day musical acts and jugglers; themed and cover sets at the workshop stage promise song-swap intimacy and sing-along choruses. The vendors and musicians are part of the community, and genuinely happy to be there – a rarity at larger festivals, sadly. Some of my very favorite acts were introduced to me at Falcon Ridge, from Crooked Still to Joe Crookston, from Eddie From Ohio to Moxy Fruvous. Some of my very best friends and companions live there, too. It’s the place we love, and we’d love to have you join us, if you can. And even if you can’t, enjoy this year’s preview mix. Download the entire 21-track Falcon Ridge 25th Anniversary Preview mix! As a bonus: a discussion of best Falcon Ridge musical moment on the FRFF Facebook Page reminded me of this collaborative Cat Stevens cover, filmed live from mainstage in 2007. Perhaps we can convince Dar and Gandalf to stage a repeat performance this summer. You won’t know if you don’t go. Eight years ago this summer I found myself in Philadelphia for an afternoon with nothing to do. I had come down on a small plane to the city for a prep school job fair, and the pickings had been slim; I had walked the historical district, but this was a last chance of sorts before what would turn out to be three months of vagabond joblessness with a toddler and a newborn in tow, and it was clear what lay before me. I needed something more essential to cool my fears. And so I took myself to the zoo. Because there’s nothing like pondering the base questions of the universe while marveling at the way we cage some critters and not others of equal majesty, while squirrels scamper in and out of the giraffe enclosure begging for a taste of your popcorn. I try to go to the zoo in every city I visit, and I’ve been to quite a few: Frankfurt, nestled up against posh apartments overlooking the rhino; Omaha, which sports the world’s largest indoor desert; Amsterdam, with its guinea pigs and raccoons prominently displayed, reminding me that one countries’ pets and vermin are another countries’ exotic ex-patriots. I love zoos. I love their design: their open air walkways, their winding rain forests and cool nocturnal passageways. I love that good zoos serve as conservationists and caretakers of the lame and the orphaned, leveraging their edutainment value for science and society. And of course, I love the animals, each worthy of its own wonderment and awe. And so it was that the very first eternal morning of summer arrived today, with Mama at her new job, and the Wee One up at her grandparents in Vermont. 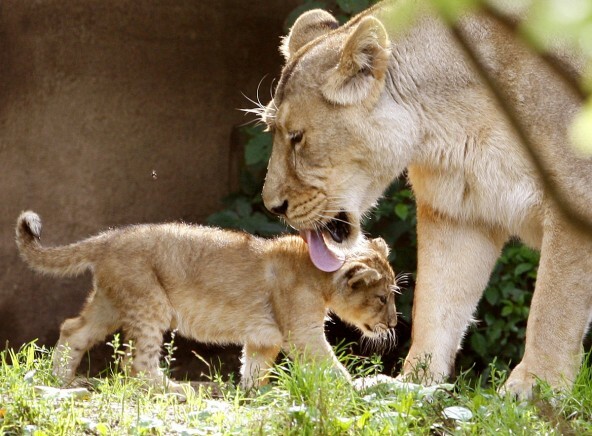 And so the elderchild and myself found ourselves at the Forest Park Zoo in nearby Springfield – an intimate venue, and hot, but full of wonders, from parrots whose whistles pierced the ear to an adorable fourteen-month old lion cub chewing at the legs of its teenage keeper. My own baby, now approaching the tween years, got to hold a tiny two week old pygmy goat, and asked if we could have an aardvark, because they really are cute, after all. We caught a movie afterwards, and a chinese buffet. We drove home talking about animals, and telling each other our favorite jokes to pass the time, just the two of us. And when we pulled into the driveway, my little monkey claimed tiredness, and excused herself for the tube, leaving me with thoughts of where to go next into this endless summer, and thankful for both the father-daughter bond itself, and the time to strengthen and savor it. This playlist, a broad indie-to-tradfolk set built around the animal kingdom and its various wild denizens, is dedicated to her; though it may be too mature for her ten-year-old tastes, the seeds we sow for these our children must be deep and carefully planted. So may they one day serve as a re-introduction of sorts to another kind of sharing, previously pushed through carefully constructed bedtime mixtapes and our now-archived kidfolk collections. May you enjoy them, too. Download our whole Zoo Mixtape in one convenient file! It’s pledge time once again, folks – and so we come to you with hat and flowers in hand to ask for your support. 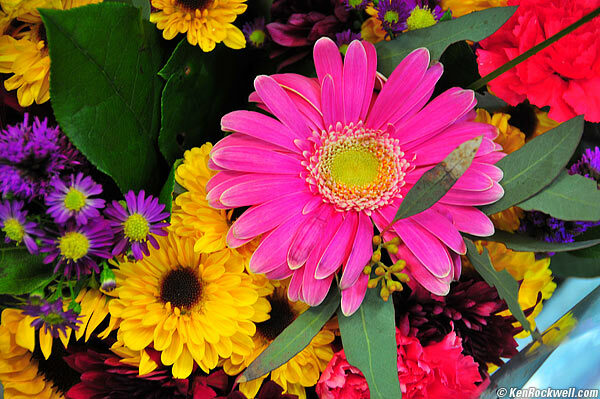 Read on to see how you can help Cover Lay Down serve its core mission, and come away with our eternal appreciation, and a bouquet of floral coverfolk sure to thrill the senses. Traditionally the last Sunday service before a Universalist Unitarian parish moves to a lay-led summer, the Flower Communion celebrates the contributory nature of the UU community by bringing the blooming world into the church at its last, and then letting it go back out again as we ourselves turn to the world of social justice and peace-making. The beauty and diversity of life – of our own, and of the land – is present in the rich cornucopia of the green-stemmed bounty. And by bringing flowers from our own gardens, and then taking home those of another, we pay tribute to the found and foraged nature of our practice, and of our spiritual selves. The ritual is easily explicable: we all bring flowers, and by midservice, the dais is covered with color and scent – an even mix of found and wild sources, and the cultivated and garden-born, reflecting the organic mix of seeds and sprouts that comprise the source-cobbled praxis of our “faith where we find it.” We bless the flowers, and ourselves, and line up to pick a single stalk or clustered bloom to take with us for the summer; we sing a song of the spirit, and drift off into the fellowship hall for cake and summer goodbyes, flowers in hand and fellowship in hearts. It’s nice to have a ritual that reminds us of the way our tiny lives are part of the passing of the seasons, their beauty ours, and their bounty shared. And as it is in church, so it is here: our little space on the web is not merely a published sequence of song, but a shared nexus of give-and-take, the songs themselves flowing back and forth through us, making us whole, and making us one. 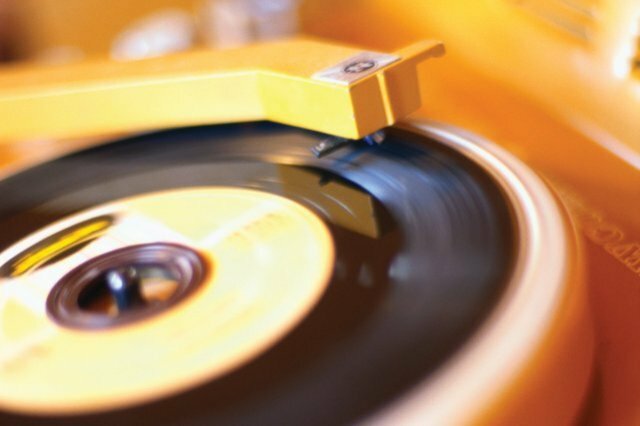 A music blog, too, is a communion, as is the experience of listening we give to each other. I wrote the above in 2010, and the sentiment stands: I love the Flower Communion, and the way it serves as a metaphor for the communion of folk and the folk of communion. But this Sunday morning, the dynamic new change-agent minister with the ear for infrastructure reminded me of the second symbolic exchange inherent in this ritual – the taking of the communal flowers, and the way they represent how we carry the community with us into our lives. And I am minded afterwards: communion requires sharing and accepting the gifts that community brings. And so we come to you, as we do occasionally, to pass the collections plate, that we might sustain ourselves a little better in the coming months. I’ve said it before: Cover Lay Down remains ad-free and artist-centric, but paying for private server space to serve this community at its current scale isn’t free. I find myself often reluctant to come right out and ask for donations, especially this time of year, when my busyness outside these virtual walls peaks, but the coffers are bone-dry, and the bills due; as it is in any community, so it is with this one: without you, Cover Lay Down is nothing. The blog itself, with its mixed-bag cornucopia of blooms, thrives because we all come to put ourselves in, and if it offers you just one hundredth of the strength and joy it sustains for its author, then our investment is well-served, indeed, and I am grateful for any gift you can give in sustaining us through the summer. If you’d like to donate to Cover Lay Down, just click the button below – we take PayPal and credit cards, and every penny goes to server costs and filesharing, that we may continue to serve our mandate to connect fans and artists through song, and in doing so, help do our part to ensure that folk, acoustic, and roots music remains vibrant and alive. In return, we offer our eternal thanks, the warm satisfaction of the community supporter and patron, the continued recreation of the community itself, and our shoulders ever at the wheel of folk itself, working for its eternal viability. For my part, I can note only that the long struggle to stay current in the midst of inevitable life-chaos ends in June, as it always does. Going into summer provides more opportunity to populate these pages; schoolteachers can stay up later in the warm month, and their time is, if not entirely leisurely, then at least more flexible, and less dense; neither church nor choir flag my fortune as they feed the soul. And so the liminal period that is summer comes, its arrival marked by the dual dispersement of school and congregation. We stretch, and sink into our chairs; we sleep late, and share, and are merry, at our very best. And the flowers bloom all summer. And the music never ends. Thanks, all, for everything you bring to this space: for your eyes and ears, and your hearts, and your comments; for liking us on Facebook, so that others might come; for the support you bring each artist, and for even considering lending your financial support to this little folk-lovin’ corner of the web. And just as the communities you love benefit from your gifts, may you take from their bounty, and carry them with you. Sending good wishes and lucky charms to my brother and his wife, who moved to Turkey a year ago in pursuit of the artist’s life after a long stint in Frankfurt, and haven’t really been back to the States in years. They assure us their Istanbul neighborhood is “in a very different part of town from the main center of the protests,” but watching what little news I’ve been able to track down, it’s hard not to be worried. And yet even as I hope for more reassurance, there is also awe and wonder at the myriad ways in which the universe is interconnected. For as the school year comes to a close, my Media Literacy students and I face our final exploration – a unit on Facebook and other social media, and their potentially democratizing purpose in change agency. And on beyond my brother’s timely email, here come the tweets, and the blogs and facebook groups, to once again provide ample evidence that in the digital world, the global really is the local; that even our agency is globalized, if we know how to use it. Two years ago this weekend, our tiny rural town was decimated by a tornado, and the way in which the community came together was a case study too immediate to ignore. The year before, it was Haiti, and the ways in which social media had shown and lent us avenues of support for the destruction. Now, since we already studied Sandy’s stormy rise and aftermath in our unit on mass media, it may well be the Turkish revolution – and the Wall Street Occupation, of course – which make the grade, allowing any news from my brother from behind what many suggest is a media bottleneck to be classroom fodder, giving me a welcome avenue to work through my worry, that I may focus on sending love and support. When the tornado came, we rebuilt; even now, with the deserted, dangerously unsafe town hall only half demolished, hope rises anew. But as song and protest go hand in hand, so does their successor, revolution – a dangerous and often deadly precursor to the kinds of reconstructive efforts that change the world forever. And so I worry – about my brother, and his wife; about my children, whose world seems so volatile, so fragile abroad even as it feels robust and Springlike here at home. And so the digital revolution holds us close to the now and the real, and a day without news seems like a lifetime. 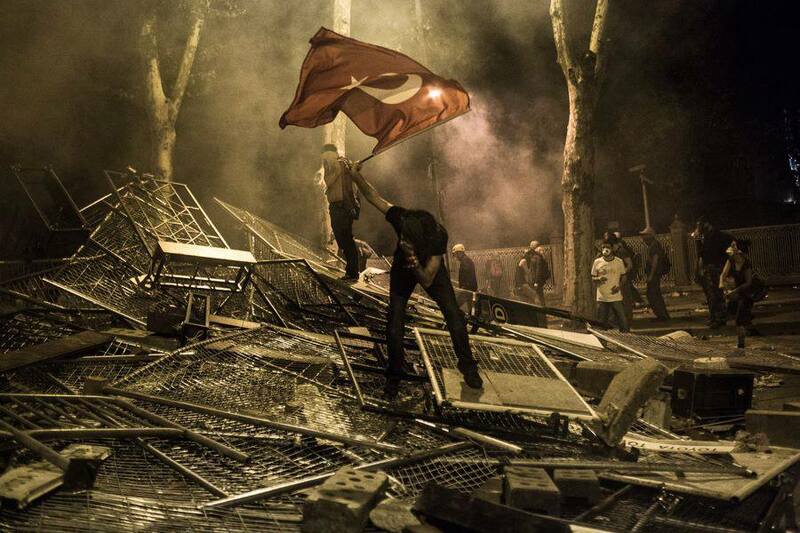 And so our mix turns to revolution itself, and the world spins madly on.